The webinar referenced in this blog post has now taken place. You can watch this on demand here. There’s nothing more certain than change, and – mostly thanks to IT these days – the speed of change is accelerating rapidly. So, it’s no surprise that IT itself is changing, not just the technology but also how we use that technology – and the expectations of those who use it. The days of technology as a separate mechanism to support our business processes is over. Recent generations – and certainly future ones – now consider technology, and support for that technology, to be a routine and unremarkable part of their everyday lives. And this concept of the ordinary and familiar isn’t kept only for their everyday lives – because how they use IT for their social and personal matters is inevitably also how they expect to use it in their workplace. It’s the wider effect of what IT had called “the consumerization of IT” – with greater expectations of not only the IT services but also support and customer service based on consumer-world experiences. As you would logically expect, in order to deliver this new level of service and support, IT departments turn to technology to help. This is particularly true in terms of IT support, and how IT captures and responds to issues arising from the services they deliver. Of course, these aren’t really five separate independent innovations. Like most things in IT they’re related and overlapping, for example, knowledge management impacts upon everything else. And you can see them all as means to capture, maintain, improve and, above all, deliver relevant knowledge. Then chatbots can be seen as an example of machine-learning, chat can be a follow up – or expansion – on self-service… and so on. They’re all linked in various ways. For me, the order seems right – technology triggers new possibilities but unless we also see the people aspects, and the process for delivering reliably and repeatedly, then we’ll not get the results – or the return on investment – we need. In term of IT support our consumers may well enjoy a pleasant, human, conversational experience when they need support. And thus, they’ll not embrace new ways of getting support unless it offers benefits to them. They won’t mind if it also offers benefits to the service provider, like reduced cost or better data capture, but they’ll only choose (to use) it if it makes their lives easier – or better in some way that matters to them. Ultimately, for most ordinary business users, saving the company money won’t attract them to a new way of working if it’s harder for them to get the help they need than the one they used before. So… in the webinar I’ll look at the available technologies of course. But I’ll also talk about how we get our business users or customers to use these technologies. For instance, the people-oriented techniques that we need to master to facilitate the adoption and ongoing use of the new technologies. And here, for the most part, we need to realize that while some of the technology opportunities are brand new and changing at light-speed, the human aspects have been around for centuries and don’t change so much. That the tenets behind organizational change are based on human psychology, and our innate resistance to change, and the degree of effort required to establish a different basis for “business as usual.” And make no mistake, that’s what we must do if we’re to make the most of the available technological innovations – we need to get our customers to love them and to choose them over the status quo. And then, when we do get them to change their working methods, we need to keep working, and maintaining, to ensure the improved customer experience keeps getting better and retains the customer enthusiasm. Hopefully my quick blog has piqued your interest in the webinar. If you would like to find out more, and to register, please click here. 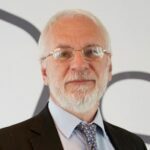 In 23 years working for the UK government, Ivor Macfarlane moved from forestry to ITSM via prisons, warehousing, and training. In 1999 he became an ITSM consultant and trainer, as a freelancer and directly for companies. He was an author for ITIL (versions 1, 2 & 3), ISO20000 and ITSM library and an ITIL examiner since 1991. An active contributor to social media and blogs, he is well known at ITSM events and has presented around the world (40 countries so far and on every continent except Antarctica). In addition to his work as an independent consultant, he also works alongside ITSM.Tools as an Associate Consultant. What Exactly Are XLAs and How Do You Use Them?